Especially in these times of austerity, everyone is searching for a bargain. Open-air street markets offer a true cultural experience, where you can really get amongst the locals whilst trying to make your euros stretch that bit further. Prices may not always be clearly marked so you may be able to negotiate a lower price. It´s worth a try – you can always walk away. 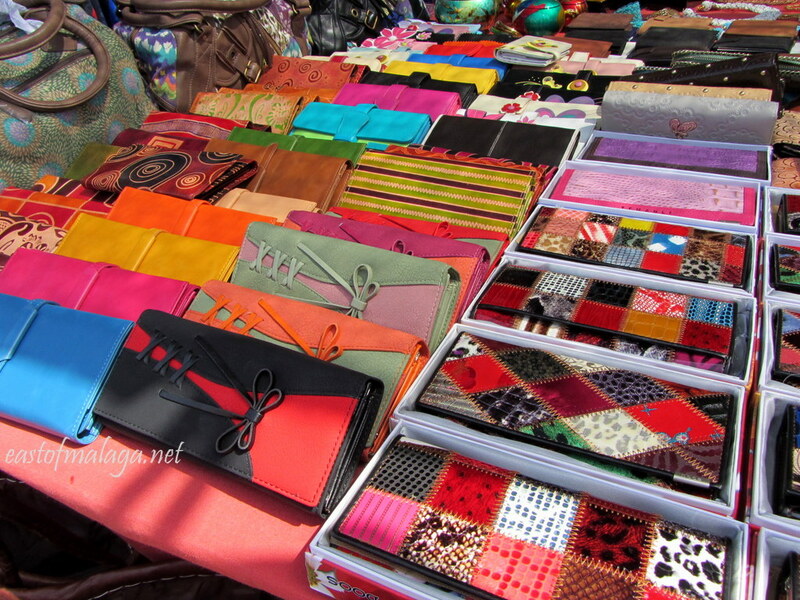 The stalls are often covered with makeshift shades to protect the goods and customers from the fierce heat of the sun. 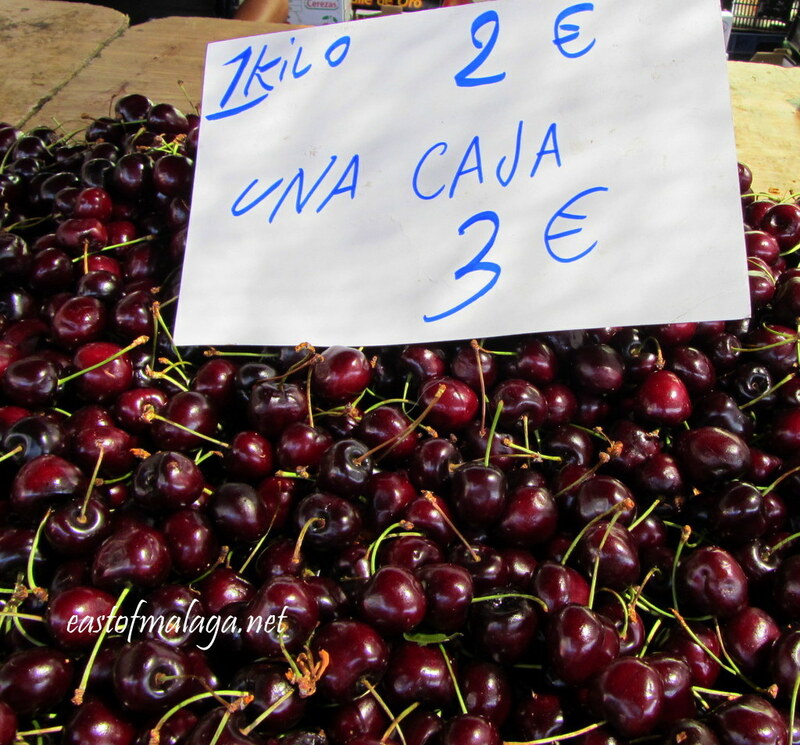 Spanish street markets are more informal than supermarkets, but bear in mind that the vendors are salespeople, not just cashiers, so they may approach you to sell goods you may or may not want. Keep smiling! 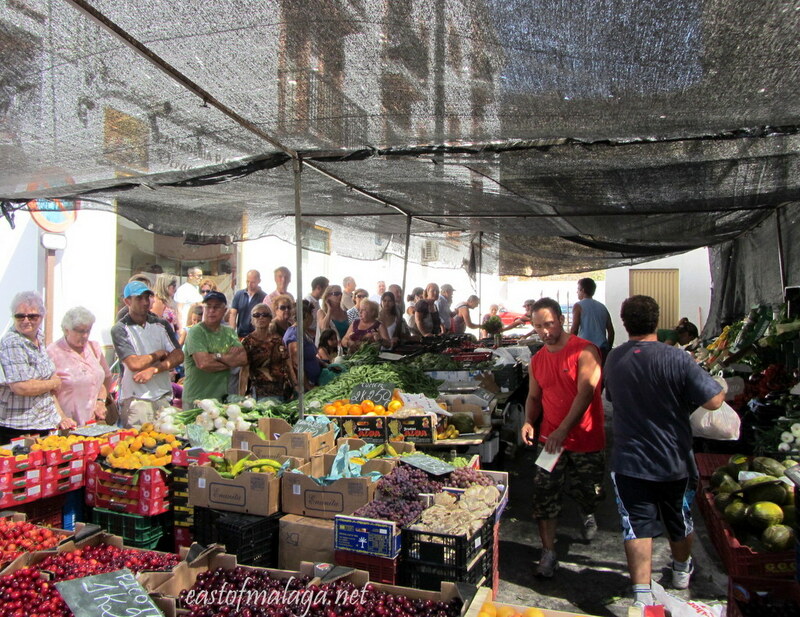 Click HERE to discover where and when there are street markets in the Axarquía area, east of Málaga. This entry was tagged Andalucía, cost of living, culture, East of Malaga, Europe, flowers, Food, life, Malaga, photography, Post a week, shopping, Spain, travel, Travel theme. Bookmark the permalink. I´m sure you have similar ones, don´t you Ioanna? OMG …. the colors are playful and bright. The variety of things you’ve dispalyed here are incredible. 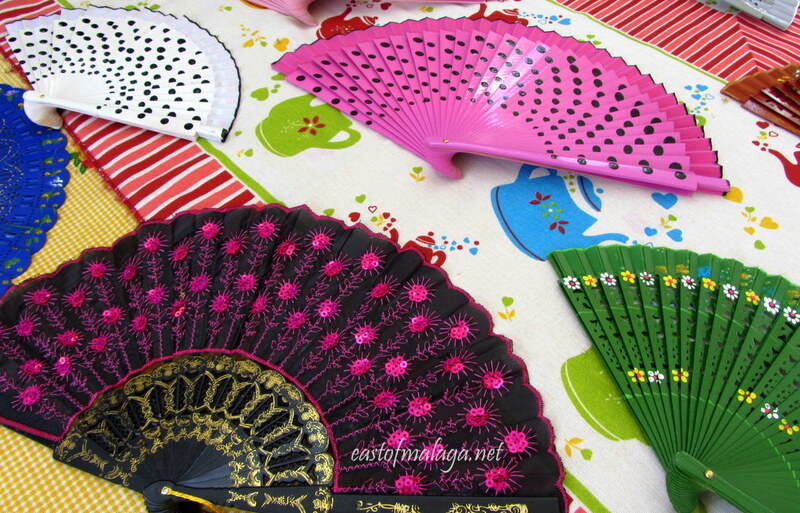 First, let me say that I found a Spanish fan at an antique ahop and had to buy it. I knew that I’d never get to Spain. I love it for when I am at an outdoor concert in the park and use it. People always glare. As an artist, I realize that I do unique things that people don’t often see. For example, I wear cotton or lace, white or black gloves in the evenings. The vegetables look so yummy and fresh,too. The olives – my favorites, especially if they are stuffed with garlic – are yummy. I could go on and on. I am ready to fly it all looks so scrumptious. You have done an amazing job in creating a feast for our eyes. All the women here carry fans to match their outfits. 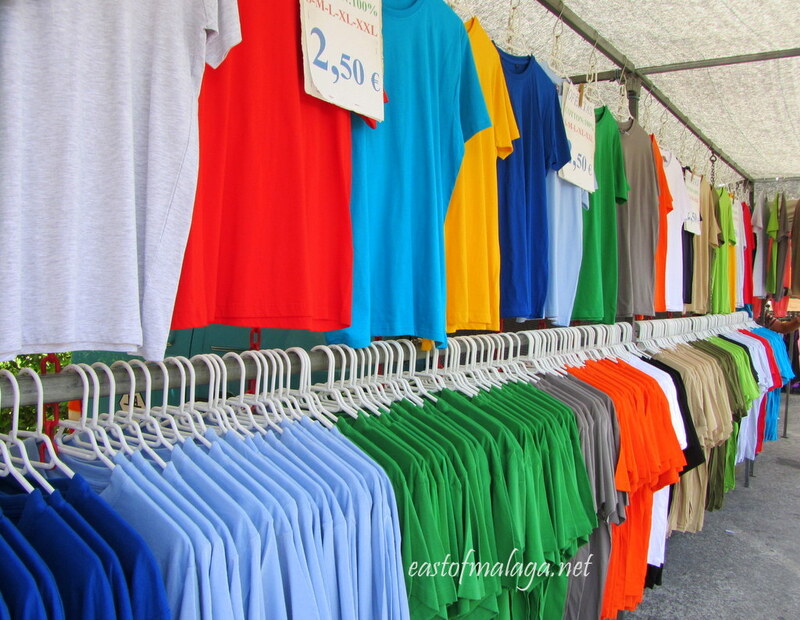 I have them in many colours – and on the street markets, like the ones I photographed, you would only pay around €2 each for them! When I travel back to England I sometimes take a fan with me, and people stare at me when I use it – HA! LET THEM! I hope you do travel to Spain one day, Isadora. As an artist you would absolutely fall in love with the diverse scenery, culture, cities and way of life. Marianne, This is an explosion of colors mixed with food aroma. I am very familiar with this type of market, I am Italian and have the same in Italy. 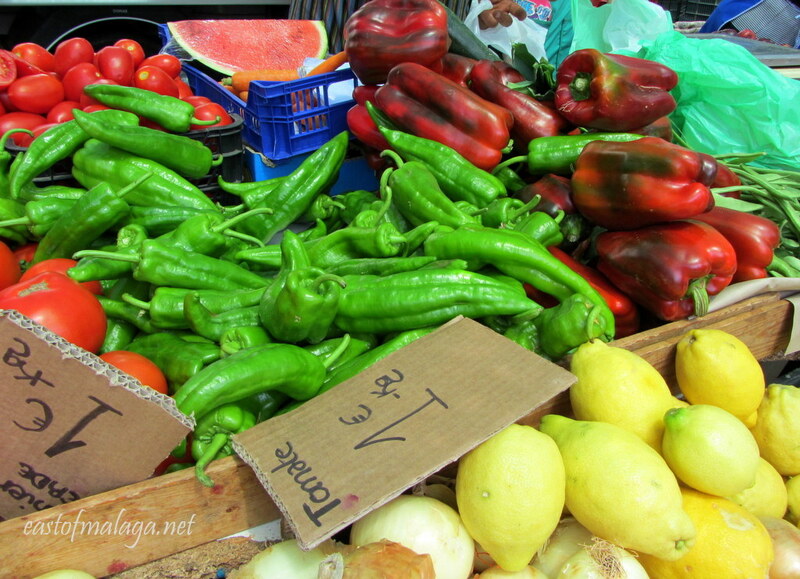 Yes, that´s right, Valentina, there are many such markets in other countries. 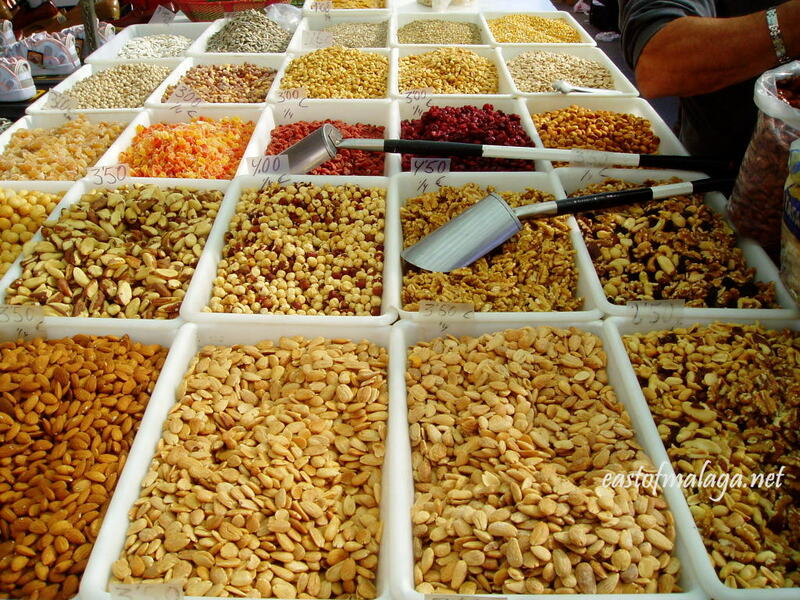 That´s why I love to visit as many markets as I can when I am travelling. Love to read you, Marianne. I´m glad I could brighten your day, EllaDee. Are there any similar markets in Sydney? I´m flying out to Sydney on 20th November for six weeks – so I must give this a try 🙂 Thanks! 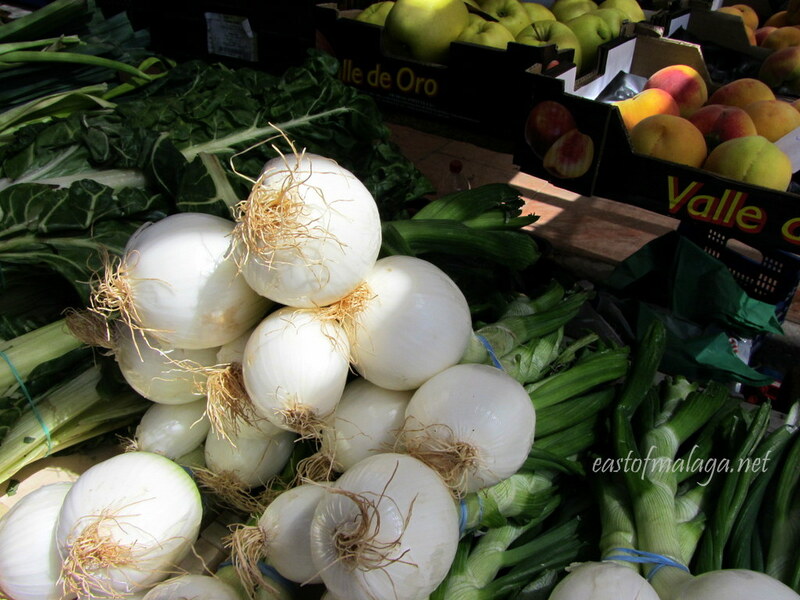 I think you also from a previous post I did have Eveleigh Markets on your list – http://www.eveleighmarket.com.au/ . Usually in December they have a Christmas market/lunch. Bellissimo e coloratissimo post ! Talk about olive overdose, wow! Fair enough. You don’t spit the pips at people, you throw the olive at them, ha ha. How beautifully colorful! My favorite has to be the one with the herbs and spices – gosh! What a wonderful selection of colorful displays! Beautiful! I adore those spotty shoes. Do they come in adult sizes? 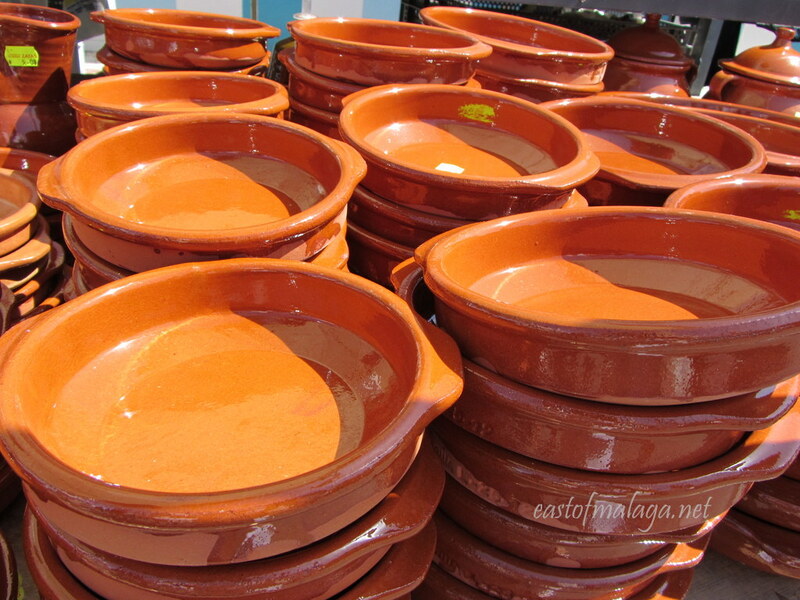 I feel like I’ve had a trip to Spain looking at your pics. Thank you. Wow cherries, it’s been months since i had cherries! …and so cheap too, Gilly! Great displays and wonderful colors! Well done! As colourful as a Fiesta! But … are there bargains to be had for those who’re battling the GEC? Oh….those olives! 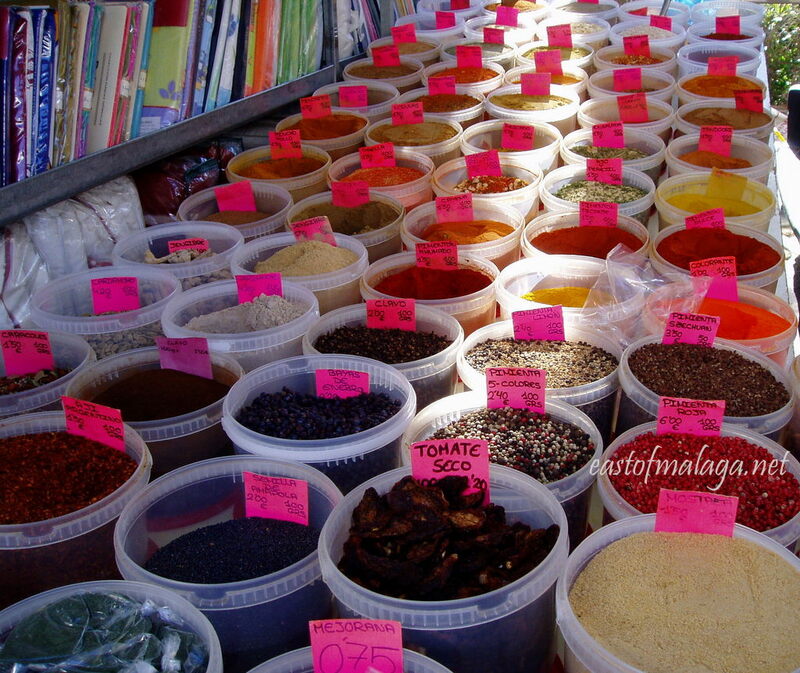 Those spices! Thank you for this post, Marianne. There are few things better than an outdoor market. If I could leap on a plane this rainy morning, I would! 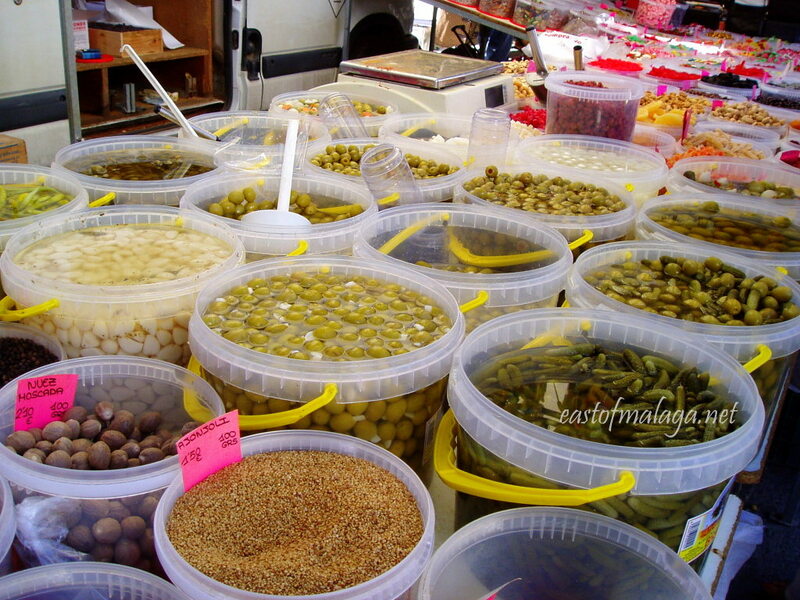 The spices, fresh fruit and veg – and the olives smell so good, too! Great pictures – love the colours! Have a great weekend, Alyson! 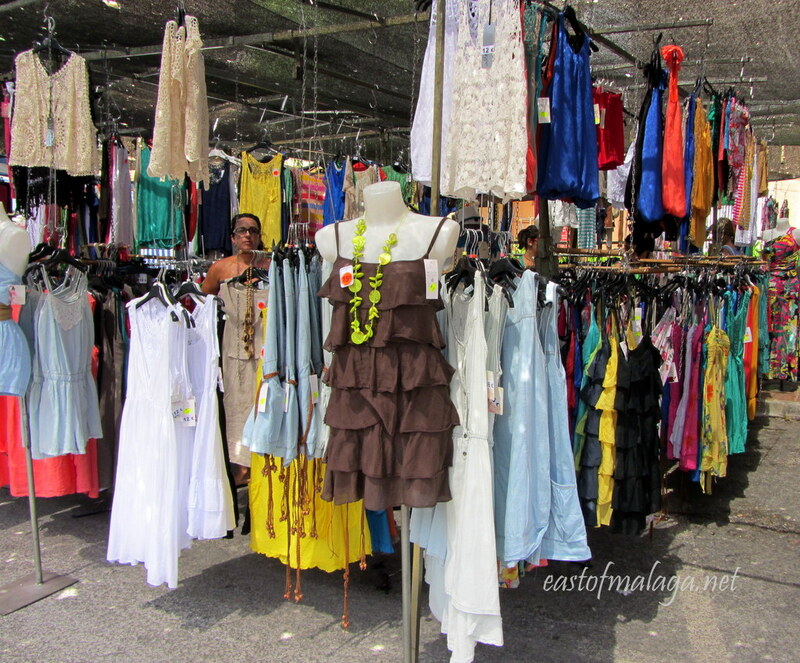 What a fun and colourful market! 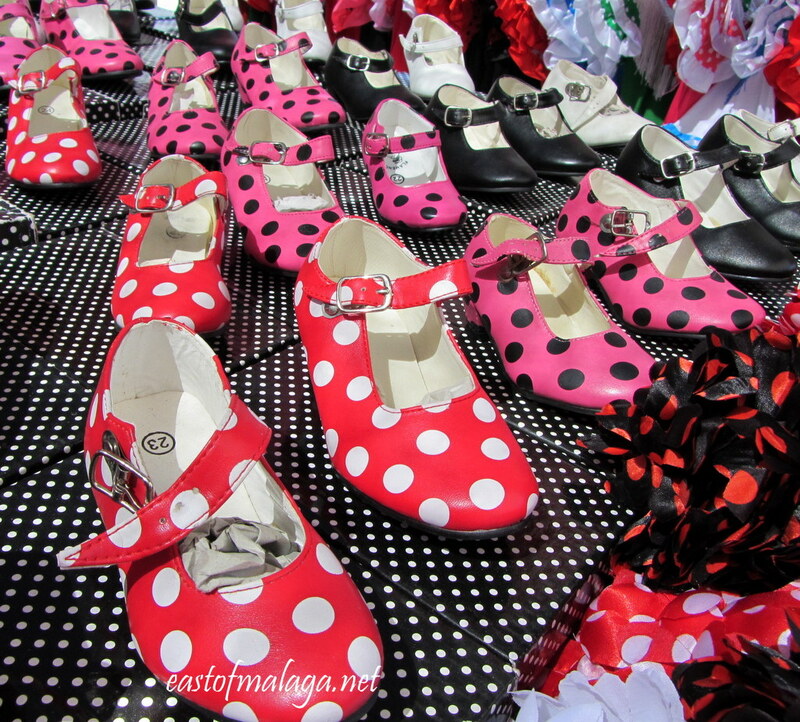 Love the polka dot shoes!